The German-born American author Erich Maria Remarque was a popular novelist whose All Quiet on the Western Front, describing the soldier's life in World War I (1914–18; a war involving Germany, Austria-Hungary, and Turkey on one side, and Great Britain, France, Russia, Italy, Japan, and the United States on the other), was a best-seller. Erich Maria Remarque, whose real name was Erich Paul Remark, was born on July 22, 1898, in Osnabrück, Germany, the only son among Peter Franz Remark and Anna Maria Remark's three children. His father worked as a bookbinder. The family was poor and moved at least eleven times during Remarque's childhood. He began writing at age sixteen or seventeen. Remarque attended the University of Münster and was planning for a career as an elementary school teacher. Toward the end of World War I, which Germany had entered in support of Austria-Hungary, he was drafted into the army. While recovering in a German hospital from wounds suffered during the war, Remarque worked on Die Traumbude ( The Dream Room ), his first novel, which was published in 1920. Around this time he switched to the original French spelling of his last name. After the war he worked as a press reader, teacher, salesman, and racing driver, among other professions. The immense success of Im Westen nichts Neues (1929; All Quiet on the Western Front) established Remarque as an author. This novel falls into a class of antiwar and antimilitary fiction that grew rapidly in Germany in the later 1920s—Arnold Zweig's (1887–1968) Sergeant Grischa is another famous example. These books are characterized by a matter-of-fact, often conversational style similar to that of a newspaper or magazine report. Although Remarque conceals little of the horror and bloodiness of life in the trenches, at the same time there is a sentimental streak in the book that is maintained strongly right through to the last pages, in which, following the death of his friend, the hero himself dies two weeks before the end of the war, on a day when all is reported quiet at the front. All Quiet on the Western Front was translated into some twenty-five languages and sold over thirty million copies. The 1930 film version of the book was a huge box-office hit and won several Academy Awards. Remarque's next book was also a war novel, Der Weg zurück (1931; The Road Back). Drei Kameraden (1937; Three Comrades) deals with life in postwar Germany and is also a tragic love story. By 1929 Remarque had left Germany and lived in Switzerland. The pacifism (opposition to war or violence) in his works and their strong sense of sadness and suffering made them very unpopular with the Nazi government (the controlling party in Germany beginning in the 1930s that scorned democracy and considered all non-Germans, and especially Jewish people, as inferior). In 1938, in fact, Remarque was stripped of his German citizenship. In 1939 Remarque arrived in the United States, and he became an American citizen in 1947. His next novel, Liebe deinen Nächsten (1940), was published in America under the title Flotsam. After World War II (1939–45), in which Germany, Japan, and Italy were defeated by the Allies (including the United States, Great Britain, France, and the Soviet Union, among others), Remarque's productivity increased, and he turned more and more to the study of personal relationships set against a background of war and social destruction. Arc de Triomphe (1946), the story of a German refugee (someone who is forced to live outside of his or her own country) doctor in Paris, France, just before World War II, returned Remarque's name to the best-seller lists. (1956; The Black Obelisk), Der Funke Leben (1957; Spark of Life), Der Himmel kennt keine Günstlinge (1961; Heaven Has No Favorites), and Die Nacht von Lissabon (1962; The Night in Lisbon). All these novels are gripping and skillful stories of personal crisis, escape, and adventure. Remarque also had one play produced, Die letzte Station (1956; The Last Station). 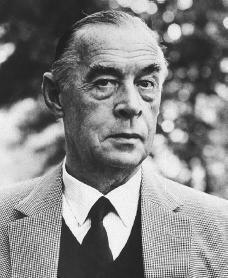 Erich Maria Remarque died in Locarno, Switzerland, on September 25, 1970. Barker, Christine R., and R. W. Last. Erich Maria Remarque. New York: Barnes & Noble Books, 1979. Gilbert, Julie Goldsmith. Opposite Attraction: The Lives of Erich Maria Remarque and Paulette Goddard. New York: Pantheon, 1995. Good article, except the sentence above. According to historical truth Germany, Japan, and Italy were crashed by the Soviet Union, the United States and Great Britain among others. France as a defeater of Germany was a joke. Just count fallen soldiers among the Allies. Who is the author of this article? I really need this information, I'm running out of time. Please respond.